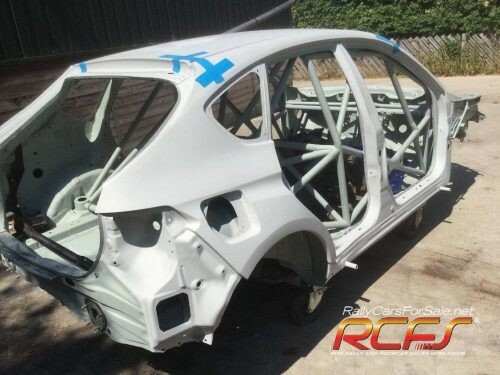 Subaru Impreza STI R4 Hatchback “Bodyshell”. Prepared using an undamaged Spec C imported donor car. Fabrication work carried out by Steve Lancaster to R4 spec including tall rear turrets, seat rails, sill stand mountings, floor mount pedal box fittings, these are all done to Lightweight Spec RHD. Most parts are available to complete the construction of this car to the highest spec. Also available are a selection of N10/11/12 panels and parts. Please contact myself with your requirements.